January 15, 2012 - On Friday Judge James E. Boasberg of the U.S. District Court for Washington DC denied Airlines for America, formerly known as the Air Transport Association (ATA) of America injunction to block $3.4 billion loan guarantees to Air India to purchase 30 Boeing aircraft. This case was a collision of interests between domestic airlines, which seek to avoid competing against subsidized foreign carriers, and domestic aircraft manufacturers, which desire those foreign carriers to buy U.S. planes rather than shopping overseas. Plaintiffs here are organizations representing the interests of certain U.S. airlines and airline pilots. The Export-Import Bank of the United States (Ex-Im Bank) is the official export credit agency of the United States federal government, for the purposes of financing and insuring foreign purchases of United States goods for customers unable or unwilling to accept credit risk. The mission of the Bank is to create and sustain U.S. jobs by financing sales of U.S. exports to international buyers. The Bank Act details certain procedures to reduce the adverse effects of loans and guarantees on industry and employment in the United States. These loan guarantees allow foreign airlines to obtain credit with a lower interest rate, which in turn provides them with an incentive to purchase their planes from Boeing, as opposed to from Boeing?s chief competitor, France?s Airbus. As purchases of Airbus aircraft are frequently financed by various European export credit agencies, the Ex-Im Bank?s loan guarantees help level the playing field for U.S. aircraft manufacturers. The Export-Import Bank?s Board awarded initial approval of the loan guarantees to Air India of almost $4.7 billion and to Air India Charters Ltd. of more than $300 million on August 24, 2006. Simultaneously, the Board initially approved final commitments to Air India for more than $900 million and to Air India Charters Ltd. for more than $300 million. On September 28, 2006, after the required period of time for Congressional review, the Board gave final approval to these preliminary and final commitments. On four occasions since September 2006, the Board has converted portions of its preliminary commitments to Air India into final commitments. These partial conversions occurred on July 31, 2008; June 11, 2009; May 24, 2011; and, most recently, on September 30, 2011. The September 30, 2011, transaction involved the approval of two final commitments in the amount of approximately $1.2 billion. 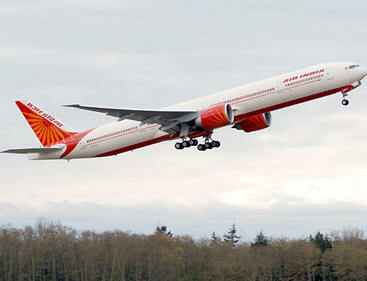 On this same date, the Bank also reauthorized the remainder of its 2006 preliminary commitment to Air India. The final commitments approved on September 30, 2011, along with the preliminary commitments reapproved that day, are intended to support Air India?s purchase of Boeing 787 and 777-300ER aircraft. On November 16, 2011, ATA filed this complaint asserting nine claims against the Export-Import Bank and senior Bank officials under the Bank Ac. It alleged that Export-Import Bank violated the Bank Act by not considering the extent to which they are likely to have an adverse effect on the domestic airline industry and on domestic employment. ATA filed its Complaint in this case on behalf of nine of its member airlines. Six of ATA?s members declined to join the suit: United, Continental, American, Atlas Air, FedEx, and United Parcel Service. ATA member airlines include AirTran Airways, Alaska Airlines, ASTAR Air Cargo, Delta Air Lines, Evergreen International Airlines, Hawaiian Airlines, JetBlue Airways, Southwest Airlines, U.S. Airways, United Air Lines, Continental Airlines, American Airlines, Atlas Air, Federal Express, and United Parcel Service. Judge James E. Boasberg said ?Even were Plaintiffs able to show with certainty that the delivery of one plane in accordance with the Air India commitments would result in the loss of an international route and corresponding jobs for Delta or another of ATA?s participating member airlines, the Court finds that this harm would be far outweighed by the harm an injunction would likely cause the Bank and U.S. manufacturers such as Boeing that rely on Bank-backed exports. A preliminary injunction is thus not warranted.? Judge Boasberg also noted "none of the airlines participating in this lawsuit (Air Transport Association of America Inc. v. Export-Import Bank of the United States, 11-cv-02024, U.S. District Court, Washington DC) currently offers a direct flight between the U.S. and India." The court order Plaintiffs? Motion for a Preliminary Injunction is denied and the parties shall appear for a status hearing on January 20, 2012, at 2:00 p.m. in Courtroom 19. Airlines for America said in a prepared statement after the judge's ruling that "Greater transparency and process reform at the Ex-Im Bank are long overdue to ensure that U.S. airlines are not disadvantaged by the bank's loan guarantees of foreign airlines. We are confident the court will find that there is clear evidence demonstrating that the Ex-Im Bank failed to meet its statutory requirements."